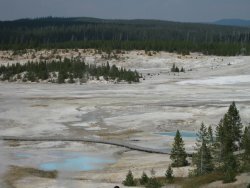 Today, we are at august the 5th and it is the day we were waiting for since a long time, the day of departure to thé natural parc of Yellowstone. We all woke up with the sunrise, to be together at the airport Charles de Gaulles at 8am. We take off at 10:50am to fly eleven hours, and to finally land at Salt Lake City at 2pm, local hour. Then we took another plane for Jakson Hole. 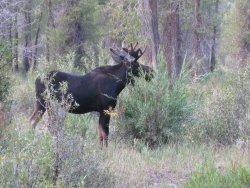 While we were going at the camping « gros ventre », the landscape was wonderfull, it was a long strait road with montains on the sides, the road was looking at the « road 66 ». 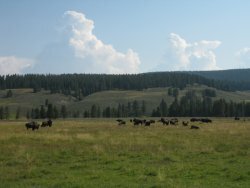 In the evening, at the camping, we made a fire and we went directly to sleep because we didn’t sleep since 24hours... We saw our first bison. Sorry, but it is difficult to acceed to internet, so no photo for today, so we will continue our diary and send it on next week-end. We all woke up early because of the jet lag. 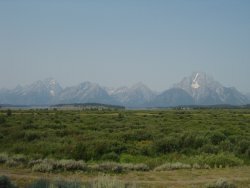 At 8am, we took the breakfast at the entrance of the “ Grand Teton “ park, then we went to visit the visitor center. At midday, we joined Russians at the airport, then we ate on the grass in Jackson city. We acquainted with Russians. To finish the day, we went shopping to eat for a week. At the beginning of the night, we lit a fire and made grill marshmallow. 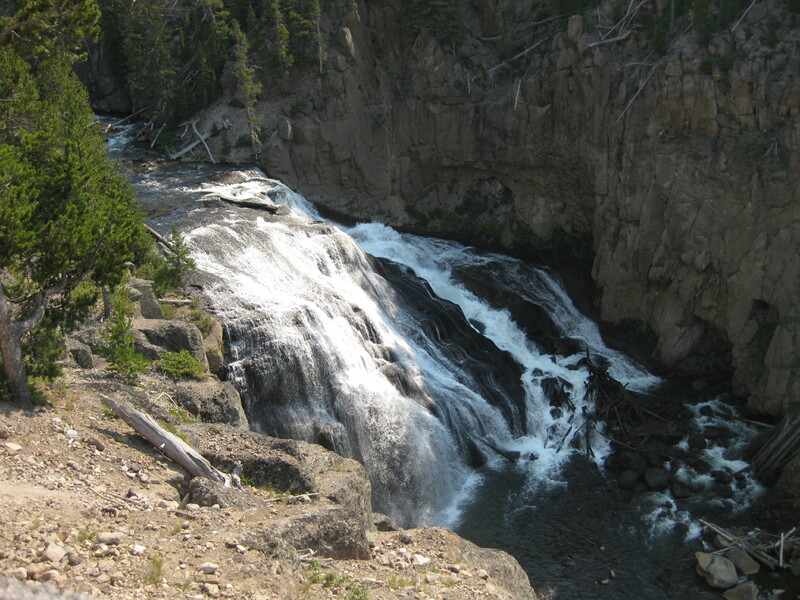 This morning, we went early to the north of Yellowstone park. 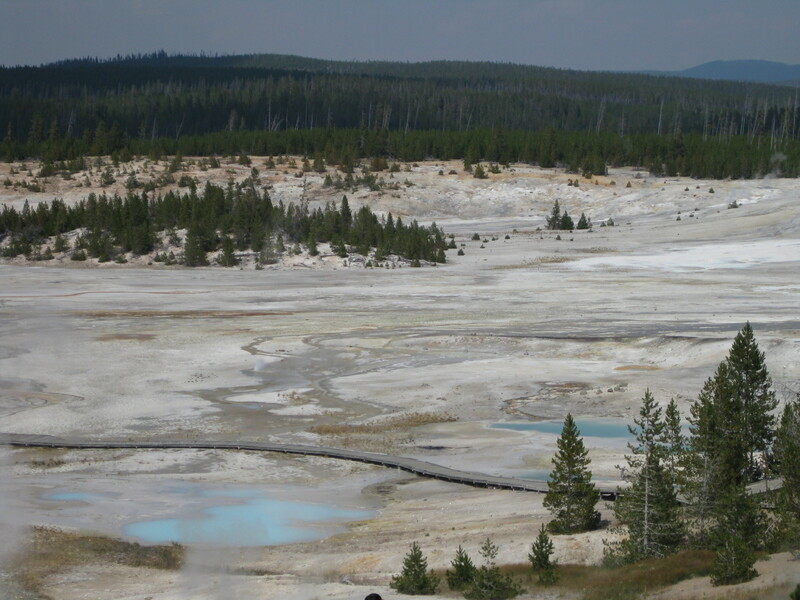 We saw a beautiful landscape and the first geothermics areas. 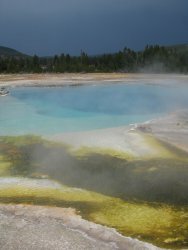 We had lunch at Norris and after we visited the Norris Geyser Basin. 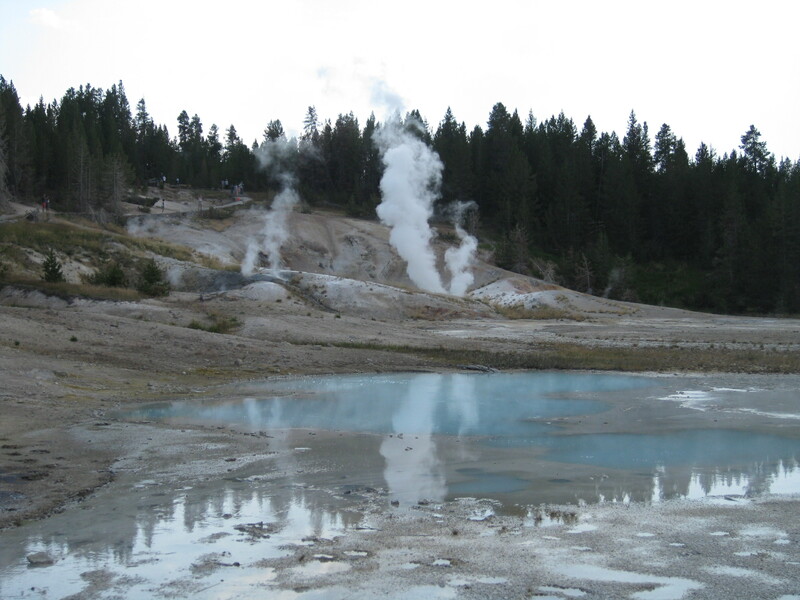 In this geothermic area, we saw a lot of little geysers and hot springs. The colors was beautiful : blue, yellow, red, orange and black ! 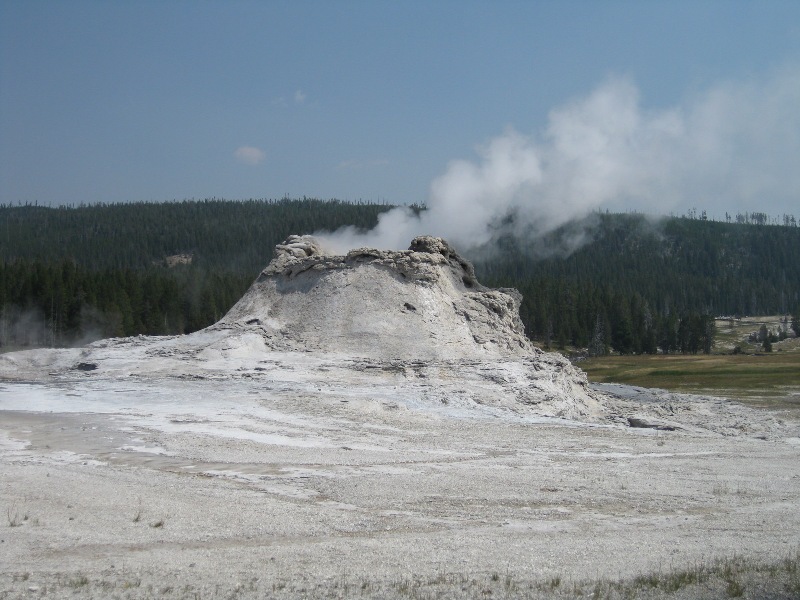 But the sulfur smell was very bad… And some of us had a little headache. 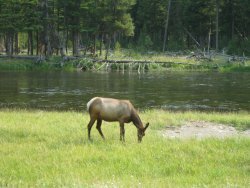 To finish the day, we went at another camping in Montana, just at the west entrance of yellowstone park, in which we could have our first shower ! This morning, we saw Gibbon Falls and Artists Paintpots. Gibbon Falls was a beautiful area and famous in Yellowstone. 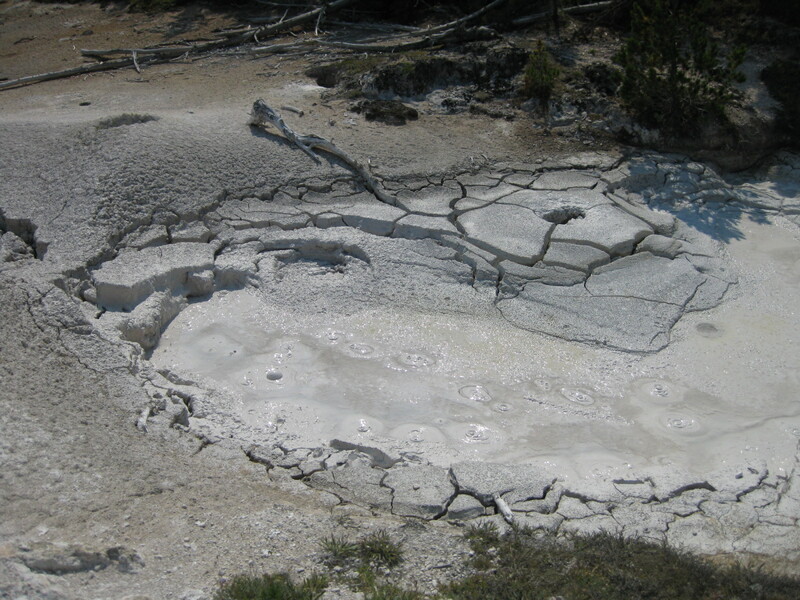 Artists Paintpots is another geothermic area, but in this area, we saw a « marmite de boue ». After we had lunch at Mammoth Hot Spring. 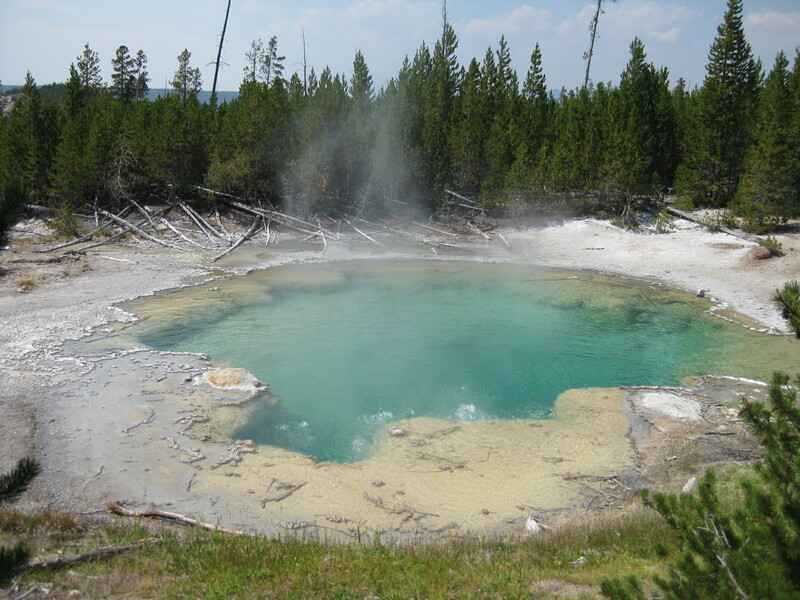 We visited two area, Canary Spring in Upper Terraces Area and Liberty Cap in Lower Terraces Area. In Canary Spring we saw a beautiful fall white, blue and red, and the Liberty cap is a pic which has 2500 years ! To finish the day, we returned at the camping because it was 35° C ! Today, in the morning, we did washing machine and we worked on the questions we are going to ask to rangers about the global warming on the Yellowstone park, about tourists and changes in biodiversity. 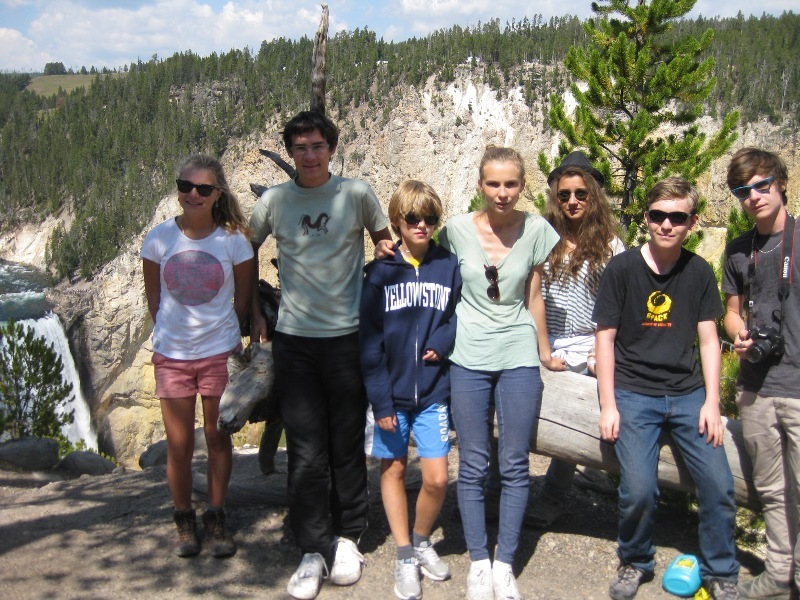 At the afternoon we went to the city of West Yellowstone to do shopping, and eat an ice cream, Dr Peppers and Orange juce at the Mc Donald’s. Today was raining. This morning we left the campground at 9:30am. 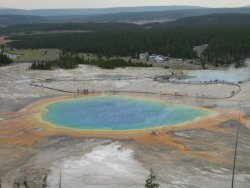 We went to the Fountain Paint Pot, Firehole Lake Drive, Great Fountain Geyser and for finish the morning we went to The Grand Prismatic Spring, which is very famous geothermic area because the colors was so beautiful. 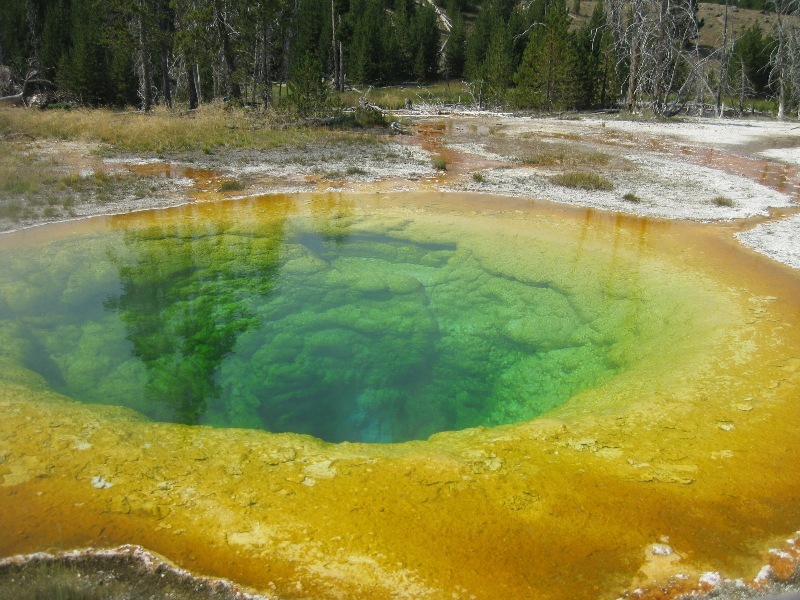 We took the temperature and acidty of differents pools, and in one each other, the tempetaure was 55°C, the ph was 8,5 and there were a lot of microorgnaisms called « thermophiles » ! On the afternoon, we went to the other campgroung « Bridge Bay ». We went to « Marina » and drunk some coffee and tea, because the weather is wet and fresh ! 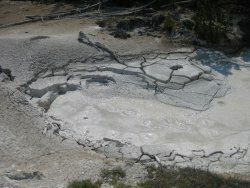 This morning we went to a geothermic area : Mud Volcano and Sulphur Caldron. We have crossed through the Hayden valley, it was wonderful ! During the journey, we had to stop because of bisons who cross the road and sometime one of them stay in the middle of the road and it’s not possible to move forward ! 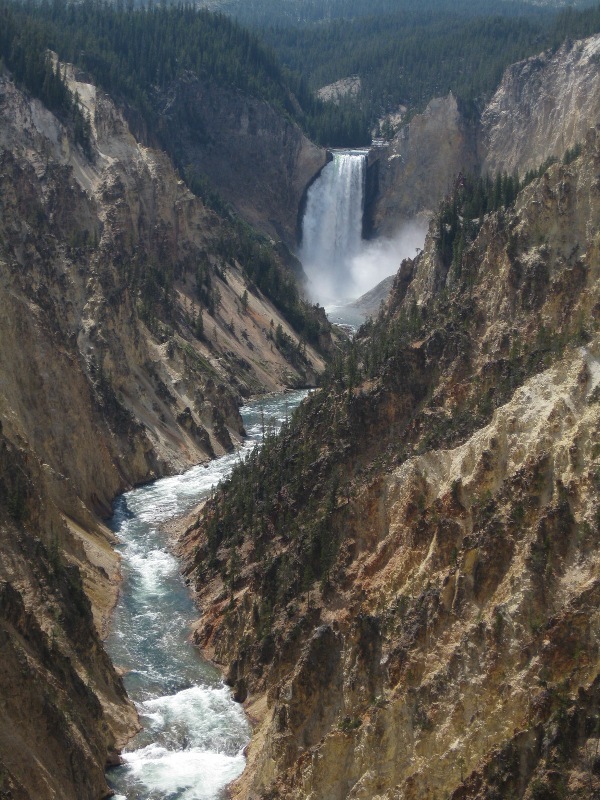 After we went to the Grand Canyon of Yellowstone for see its falls. 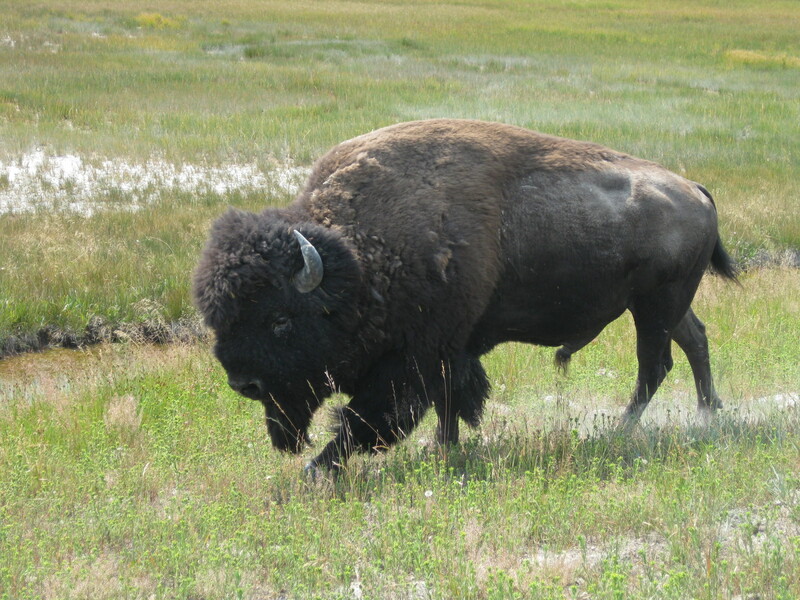 When we ate the lunch, near a river, a bison went very close from us to cross it. In the afternoon we returned to the Grand Canyon but on the other side. After we went to take a shower very expensive, we went shopping and we return to the camping where we have met two youngs americans. 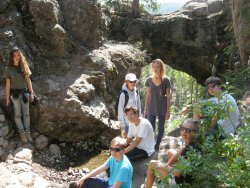 This morning, we wake up later, and after a good breakfast, we walk on a trail until a natural bridge. It’s a place where we can see erosion on the rock. We have lunch near the Yellowstone lake, which is the largest mountain lake of The United States. 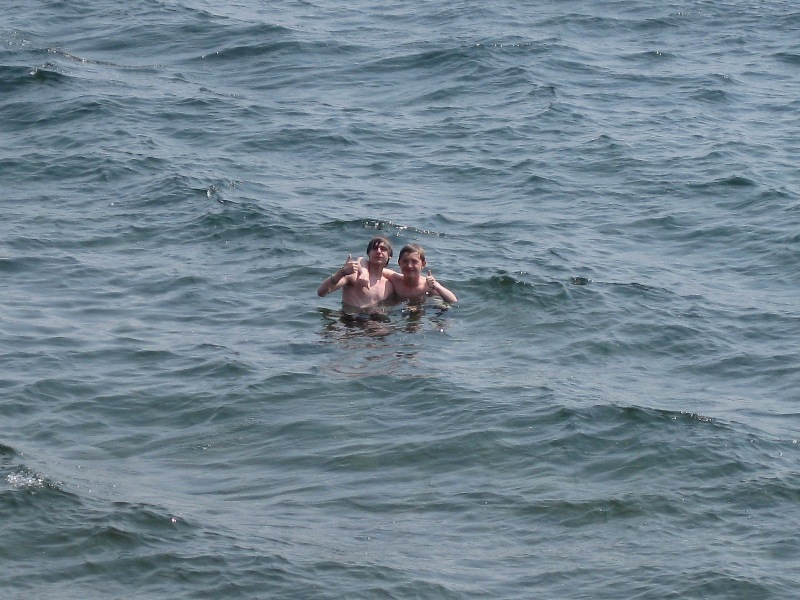 Arthur and Nicolas swam in the water witch was a little cold, but it was funny ! At the end of the afternoon, we walk around the lake area and we used internet a moment at Lake Lodge. This morning we woke up very early because we had to visit Old Faithful which is very far. 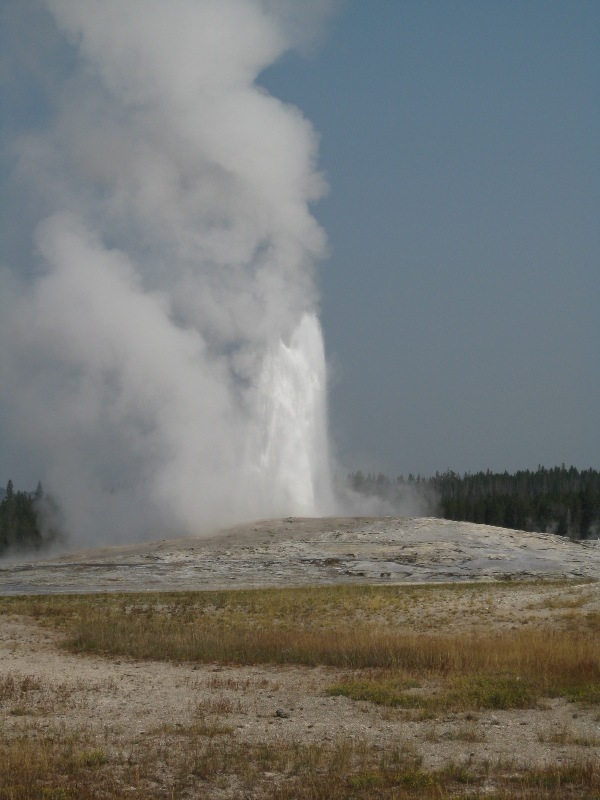 Old Faithful is geothermic area where there is the biggest concentration of geysers in the world : around 300 geysers. On the road, we saw an elk crossing the road just in front of our car. Just after we saw a coyote next to the road. 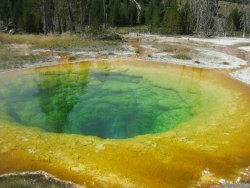 We went to Black Sand Basin with the famous Emerald Pool, it was so cool because nobody was there and after we saw the famous Old Faithful geyser !! 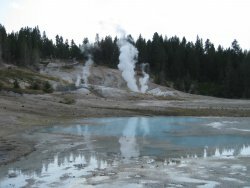 We walked around the areas and we saw geysers such as “ Castle geyser “ or “Grotto geyser “and we saw amazing pools such as “Chromatic pool “ or “ Morning glory pool “. We ate near Old Faithful under the trees because it was very hot. 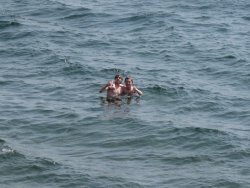 We spent the afternoon to interview two rangers and several tourists and as reward we could take a real shower. We return at the campground for a cup of tea. This morning we left Bridge Bay and Yellowstone park but before we visited the last geothermic area : West Thumb. After we went to the Grand Teton park where we will be for three days. 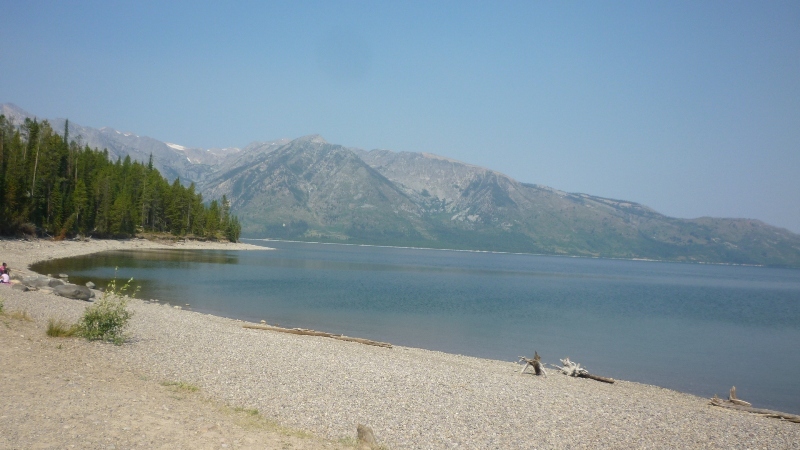 We are place at the campground of Colter Bay. 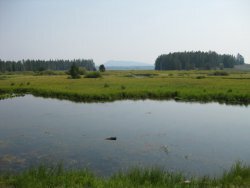 Today we hiked in the Colter Bay we discovered two lakes Heron and Swan. 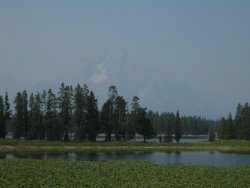 We went to differents overlooks, behind the lake there is the highest mountain of the Grand Teton park : Mount Moran at 3842 meters. There is some beavers and many squirrels. This camping is better than the precedent because the temperature is less cold at night, but there are a few wasps. 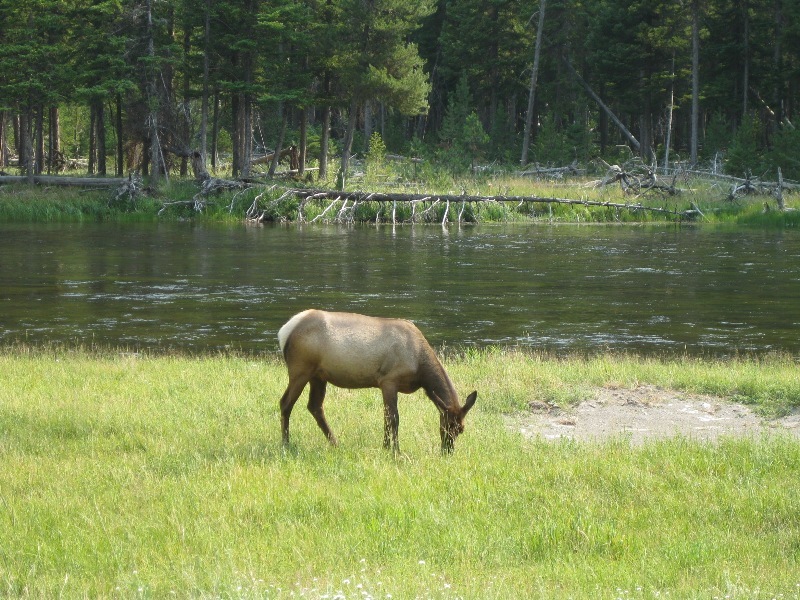 For beginning the day we see an elk with here baby in the campground. 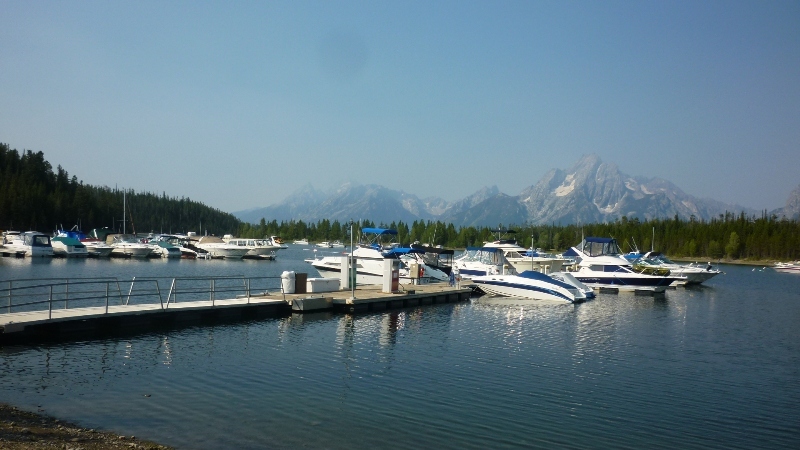 After we walk around the Jackson Lake. 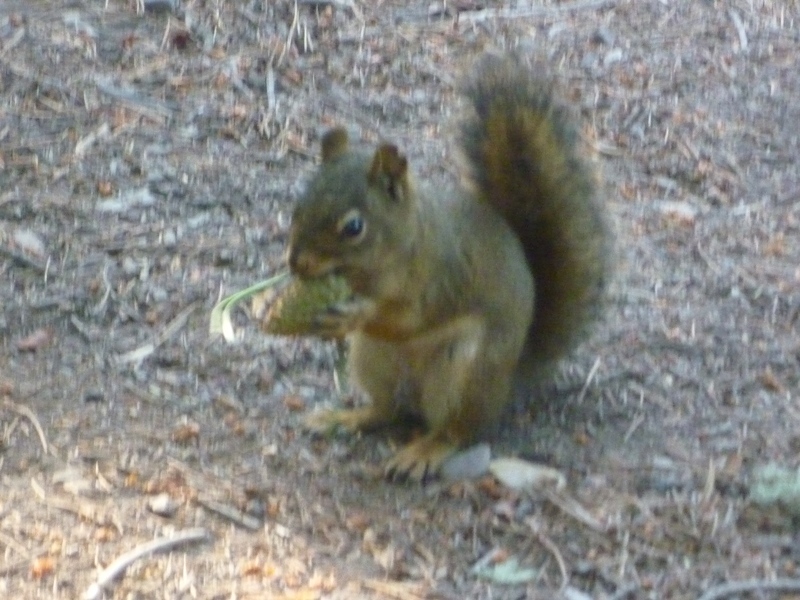 After, we return to the camping,and during the lunch we see a squirrel. In the afternoon we went to the lake for swim and sleep. 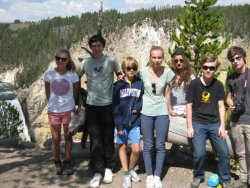 After we went in the auditorium for see a film : The Grand Teton, life on the Edge, about geology, history and environnment. 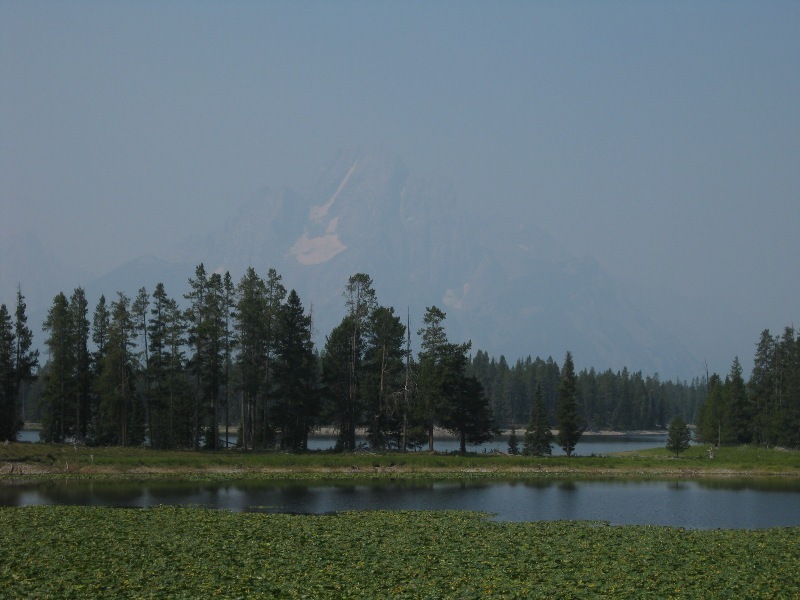 We left the camping of Colter Bay this morning and we came back in the south of the Grand Teton Park. 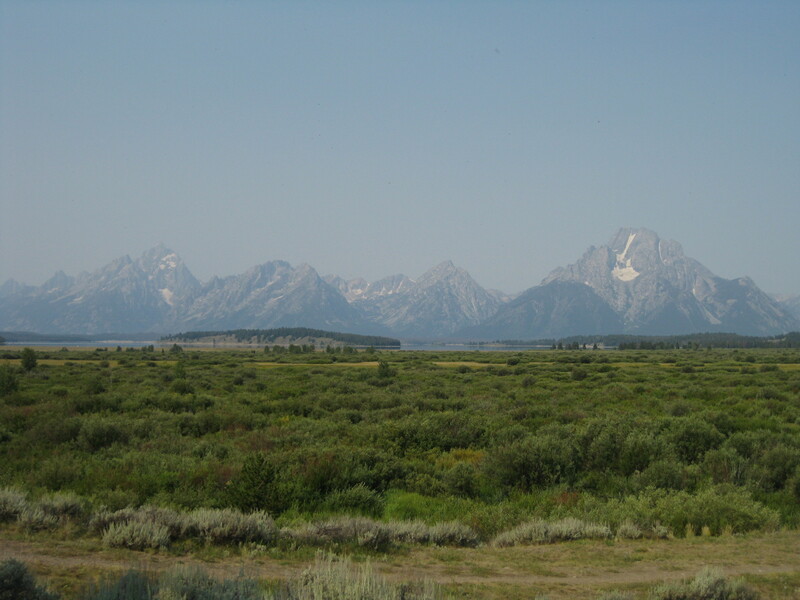 On the road, we saw the wonderful Grand Teton Range and the Snake river. 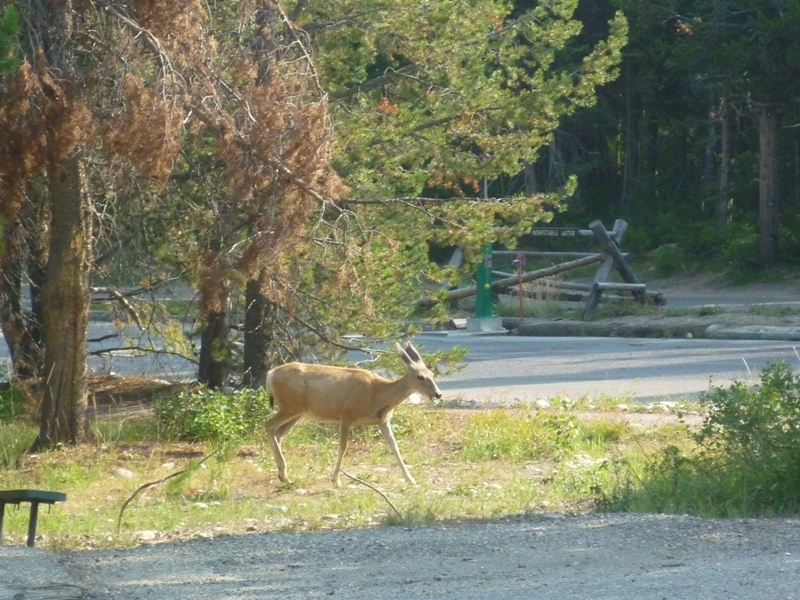 We went to the campground Gros Ventre, the same as the first night in the States. 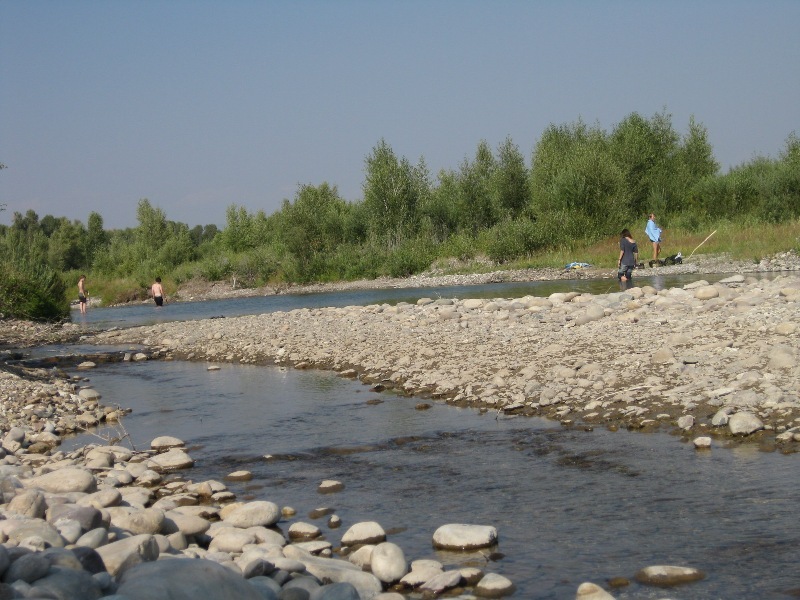 In the afternoon, we took a bathing in the Gros Ventre river, along the camping, and it was very pleasant because it was very hot today. After we slept late, we went to Jackson Hole where we had a delicious lunch on the grass of a nice garden. 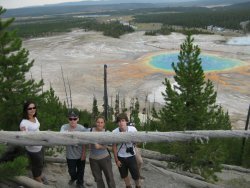 In the afternoon, we worked on the questions we asked to the rangers and the tourists when we were at the Oldfaithful area. 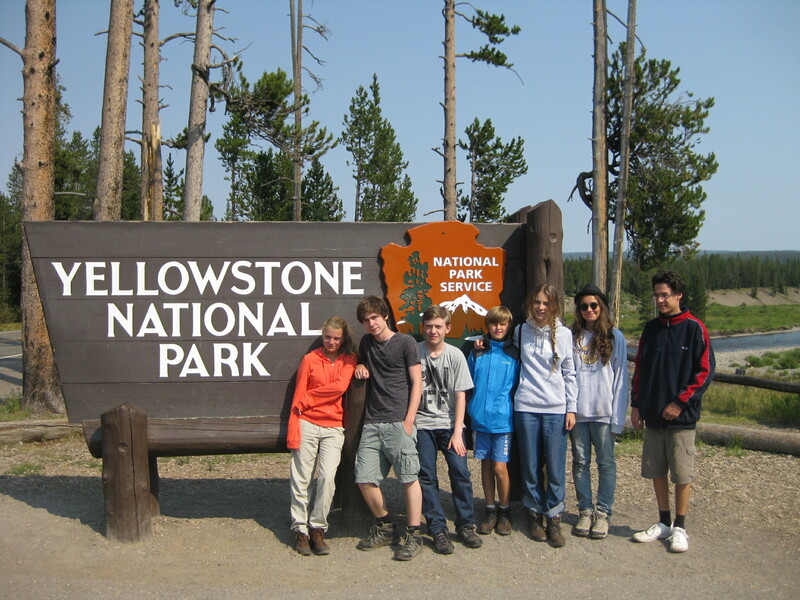 And we made an assessement about our stay in the Yellowstone park. YELLOWSTONE : résultat des enquêtes au près des rangers et des touristes dans le Visitor Center et la zone géothermique d’Old Faithful problematiques : Does global warming have an impact on Yellowstone climate ? 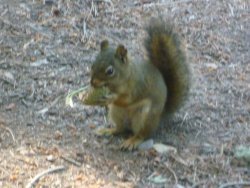 Do animals feel these changings ? Do plants feel these changings ? Are tourists responsibles of it ? What do they think about it ? 1/Climate The rangers of Yellowstone park saw that seasons were more severe than precedent years (the summer is hotter and the winter is colder). 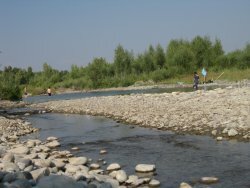 For most of them, rangers don’t think that it is a consequence of global warming, even if the olders say that it is. 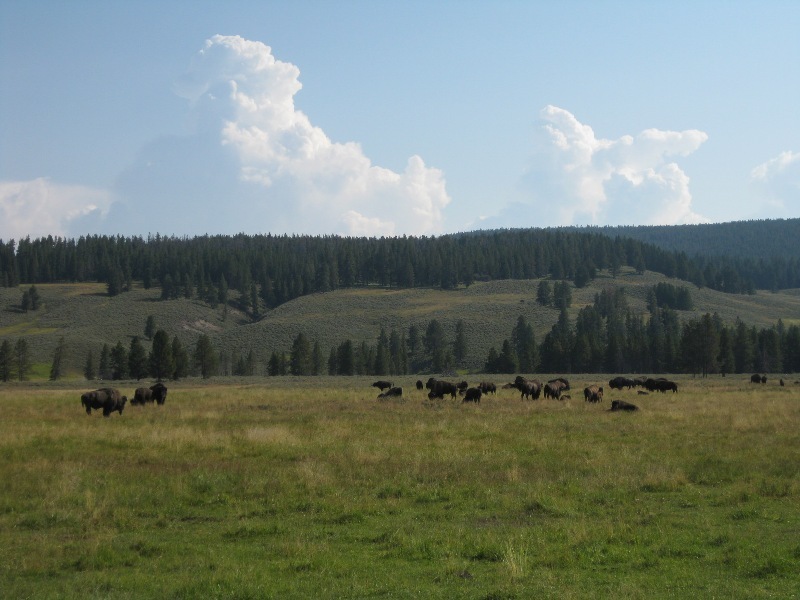 2/Animals In the Yellowstone park, rangers saw severals changings about animals species in the park. They think that global warming could be the cause of it. For exemple, some species of the park are about to disapear, such as the black footed weasel. To compensate these disapearings, rangers reinstate some animals, espetially bison and grey wolf. 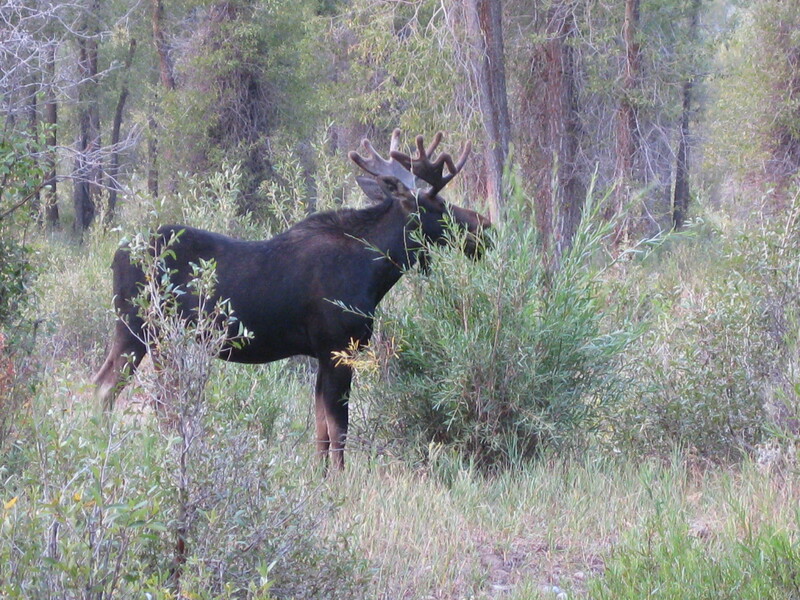 Animals do not only disapear, some change instead there comportement, like mooses, harder to see than before. So we cansay that, despite of ranger’s reactions, some animals species cannot live with climate changings. 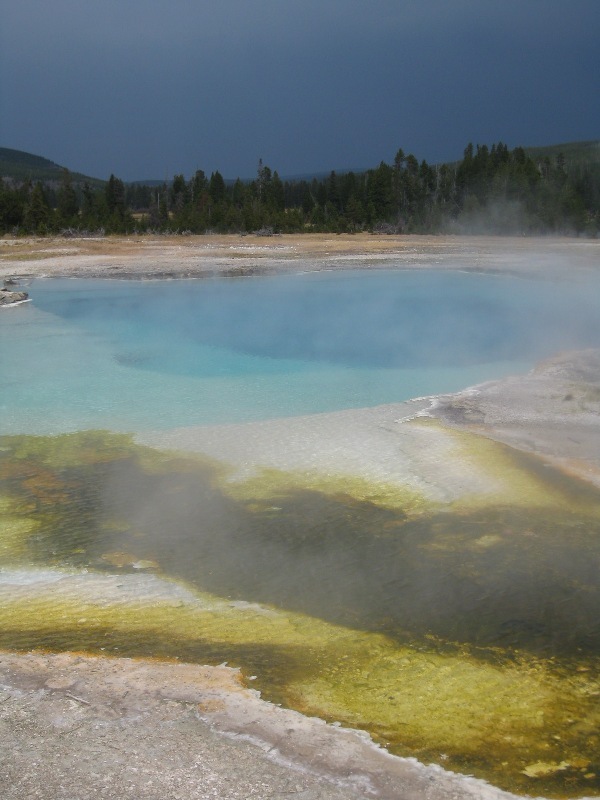 3/Plants Yellowstone park have an amazing biodiversity, including unique vegetables species. Due to global warming, vegetation is exposed to anormal climatic conditions, which can make disapear some plants, and weaken the ecosystem. For example, in 1988 and in 1998, parts of the forests have been destroyed by wilfires, which are oftener than they were before. Fortunatly, once fires put out, the vegetation regenerates very quickly. But also today, many dead trees are visibles. 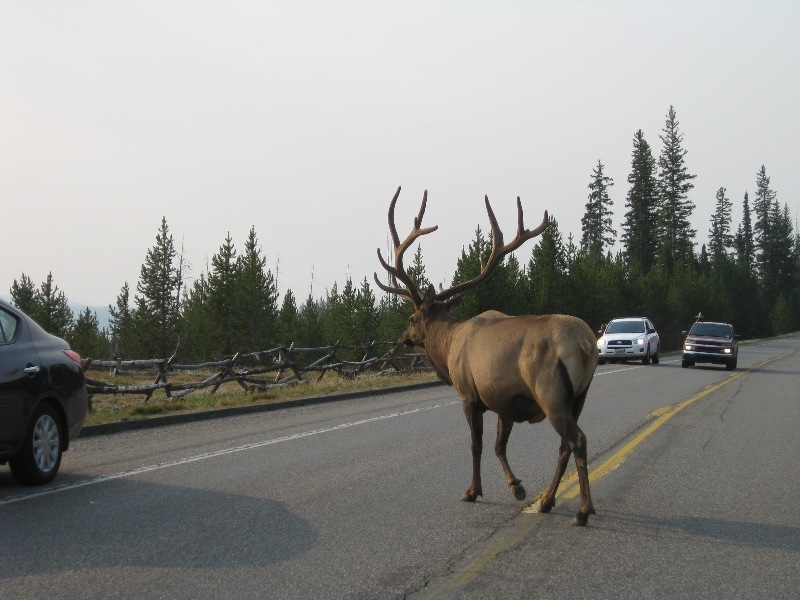 Many tourists come several times to Yellowstone park because they find it awesome. This phenomenon increase the numbers of tourist. 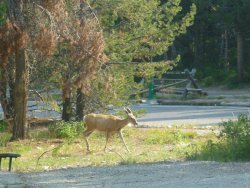 What is more the tourists think they respect the rules of nature of the park, but the rangers don’t think so. 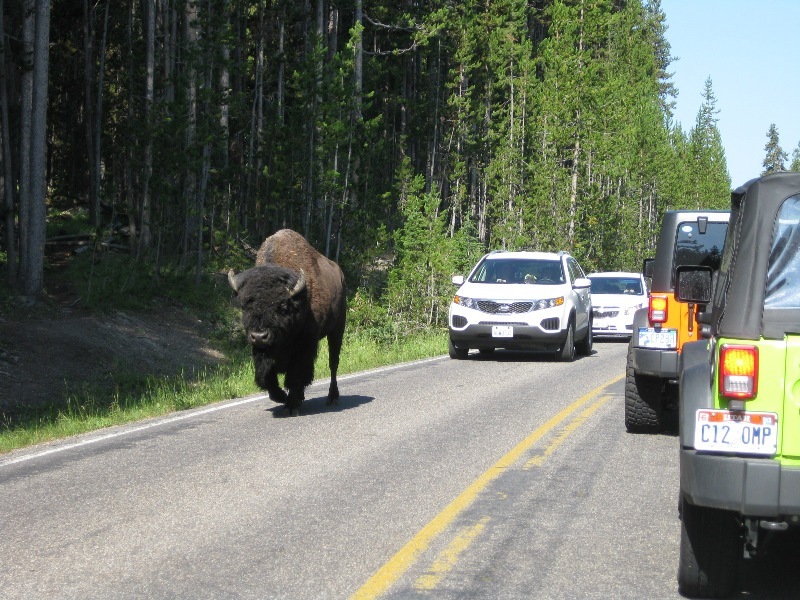 The tourists went in Yellowstone park during summer because the weather is hotter than usually. They don’t think this temperature is a consequence of global warming. 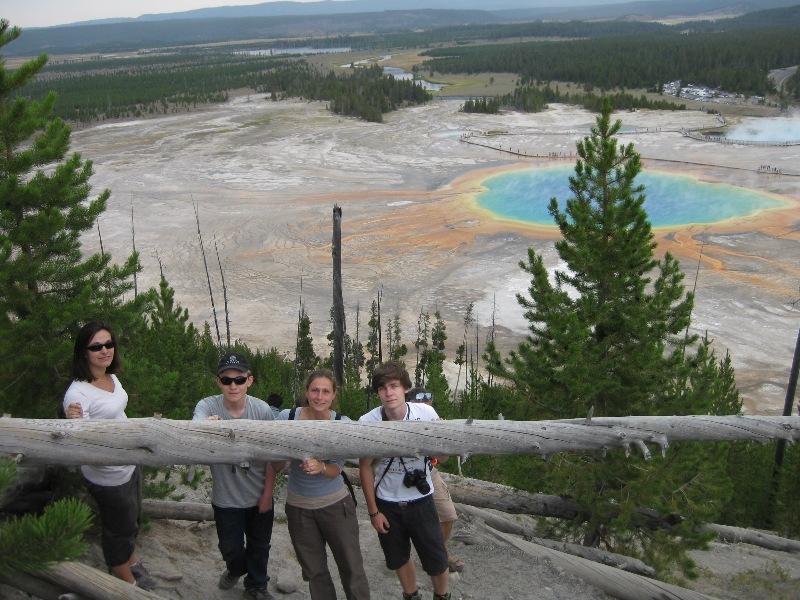 When the tourists come to Yellowstone park, they enjoy to walk on the way which was made for them, and visit the « visitor center » who gather many shop, informations on the park, connection on internet and many movies on the park.